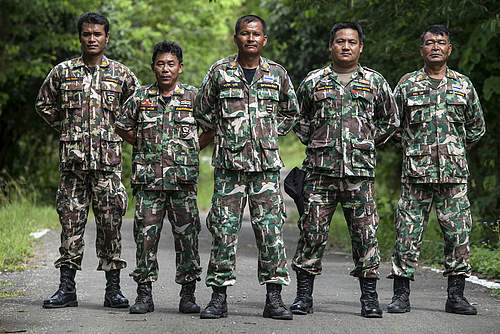 Operating all over the world, inclusive of the SEA region such as Indonesia, Malaysia, Thailand, Vietnam and Cambodia, our rangers work to protect our forest and wildlife from illegal activities. 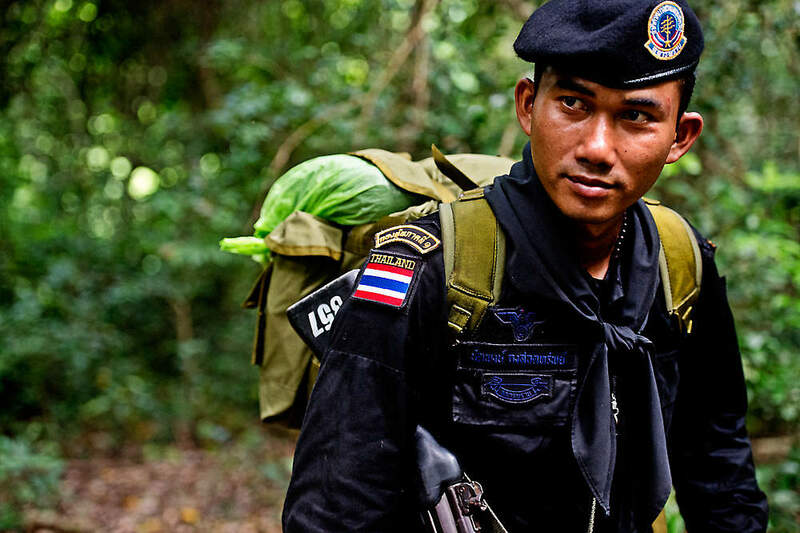 Rangers often come from communities that have been living with forests for generations. They truly understand the land and play a vital role in protecting it. WHAT IS THE BEST THING ABOUT BEING A RANGER? 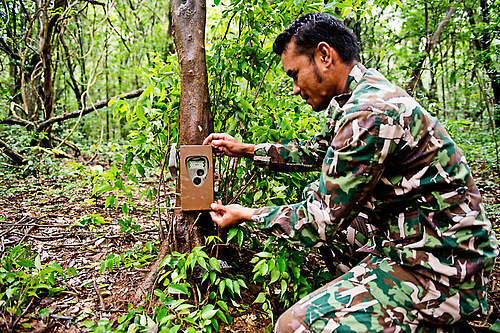 "Putting camera traps out and seeing the tigers. People, like poachers, want to steal these camera traps, so seeing the camera still there makes us very happy." Yes, rangers have to cope with dangers that occur naturally in the wild. They often times will be living in forests for weeks at a time and experience all the hardships that go along with that. Rangers have to be mindful of poisonous animals such as snakes and cobras and carry all of their equipment on their back as they range. In addition, they also have to deal with aggressive poachers and loggers. Often times, these poachers and loggers are backed by powerful sources which make them less inclined to cooperate with rangers and are more combative. We encounter it (danger) with the poachers or loggers - sometimes they can be very aggressive - we try to stop them but sometimes they have powerful people with them to back them up - they are not afraid of rangers. We try our best to stop them. Working in the forest you never know what is going to happen. Also, I have seen snakes, cobras several times and almost stepped on them. Vong, Mondulkiri Protected Forest & Phnom Prich Wildlife Sanctuary, Cambodia. 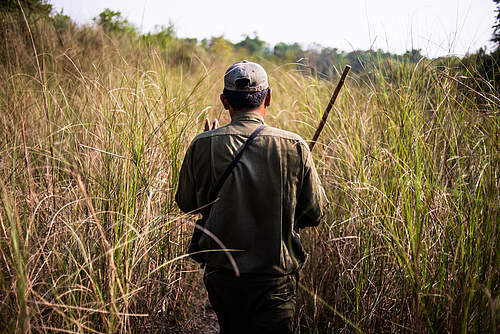 "Rangers are critical in helping communities preserve their natural heritage." Marco Lambertini, WWF International Director General. Eleven years ago, when he was just 21 years old, Vietnamese Forest Ranger Văn Trọng Thành pledged to protect the forest he’d loved since a child, from the destructive forces of illegal logging. And he did. Thanh worked as a forest ranger for many years and despite his small pay, he worked hard to provide sustenance for his family to buy rice and medicine, and to send his children to school. On 27 December 2014, Thanh was killed on duty. Around 8.30pm that night, he was found unconscious with bruises on his face where a fallen tree hit him. That day, he was part of an urgent mission to stop a team of illegal timber loggers who were destroying the forest. For two hours, Thanh’s friends carried him in darkness and under heavy rain to reach the nearest road but unfortunately, it was too late. The doctors could not revive him as his injuries were too serious. Another frontline casualty in the fight for our forests. 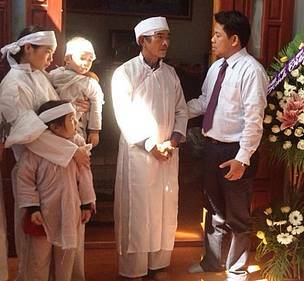 33 year old Thành leaves behind a young wife and two small children. He was their sole provider. A ranger’s wage does not come with corporate perks; there is no pension or life insurance. Despite Thành’s ultimate sacrifice, his family will be left with nothing. Education support for Ranger’s kids Currently, rangers are not awarded any sort of insurance by the state. Should a ranger die, their family is left to fend for itself. Your donation can help give an education to children of rangers who have died and help break the cycle of poverty by helping to educate the youth. By contributing to this fund you are helping rangers get access to the medical attention they need so that they can continue to preserve their forests. Rangers are not only men! There are many strong women who help preserve our forests. Unfortunately, female rangers are not entitled to maternity or healthcare benefits. By contributing to this fund, you would be providing this coverage for female rangers.